"Where a kid can be a...starbound fighter pilot battling his or her way through an asteroid field!" I honestly cannot tell you when I last stepped foot into a Chuck E. Cheese, but you can be damn sure I'm bringing my five-year-old niece there after today's Oculus Rift news. 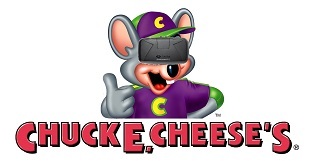 Later this month, Chuck E. Cheese will launch a six-week test run with Oculus hardware, starting at a location in Dallas, Texas. Other DFW-area Chuck E. Cheese's will soon follow suit, as well as locations in San Diego, California, and Orlando, Florida. The Oculus hardware will be available to birthday parties scheduled during the trial run. The game of choice? "Chuck E. Cheese's Virtual Ticket Blaster," a custom title created by Dallas-based Reel FX. Reel FX has been working with Chuck E. Cheese for several years on other projects, and it just so happens that they were early Oculus Rift supporters as well, dating back to the 2012 Kickstarter campaign. "We believe that virtual reality eventually will be as popular as our handheld devices," said Reel FX founder and Executive Creative Director Dale Carman. "It's a game-changer, and we're investing incredible time and talent into developing content for the Oculus Rift." Keep in mind that you need to be WITH kids when you go to Chuck E. Cheese's, so please don't go barreling in, solo, asking about their new virtual reality game.